CLASS-LEADING TOWING AND PAYLOAD: With full 1,500 lbs. 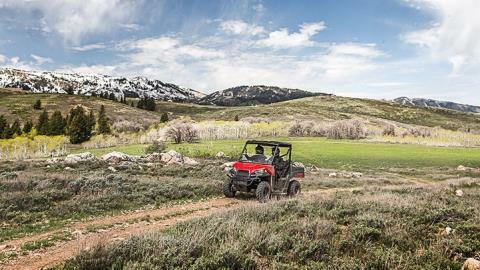 towing and standard 2” receiver, the RANGER 500 allows you to tackle the toughest jobs with confidence. Additionally, a 1,000 lbs. payload capacity is highlighted by a rear box with gas-assist dumping operation that can tote up to 500 lbs. of material to get the job done in fewer trips. RELIABLE PROSTAR® POWER: The all-new 500 cc engine is the third generation of strong and efficient ProStar® engines that have powered hundreds of thousands of Polaris vehicles. 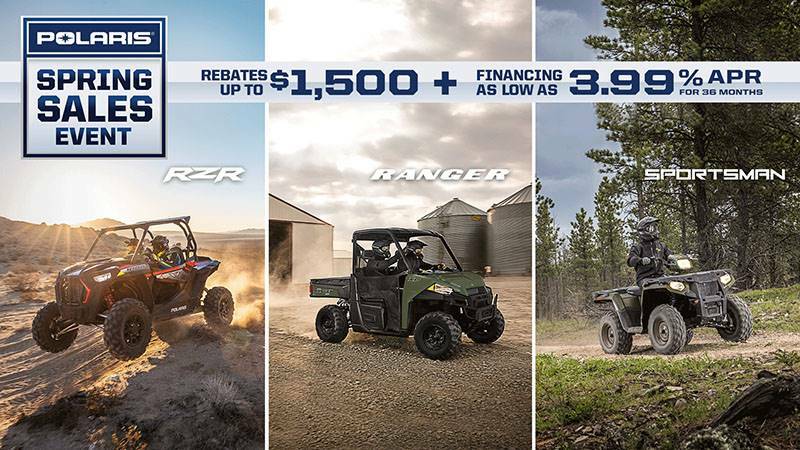 This experience and engineering results in an optimal balance of low end torque and high horsepower to provide smooth, reliable power to help you get the job done. 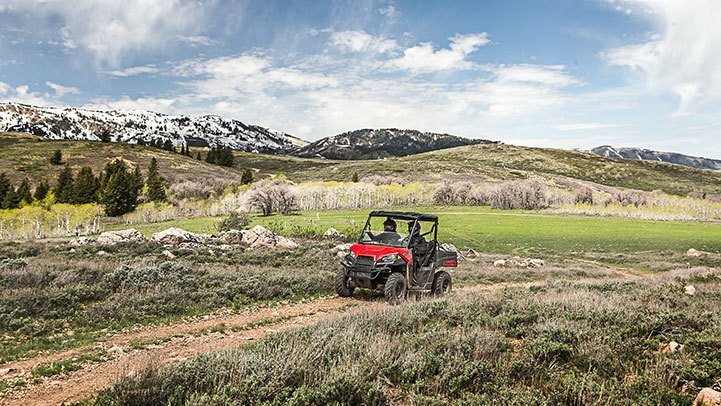 ON-DEMAND TRUE ALL-WHEEL DRIVE: With the Polaris true AWD advantage, all four wheels engage automatically when your vehicle needs more forward traction and reverts back to 2WD when it doesn’t. 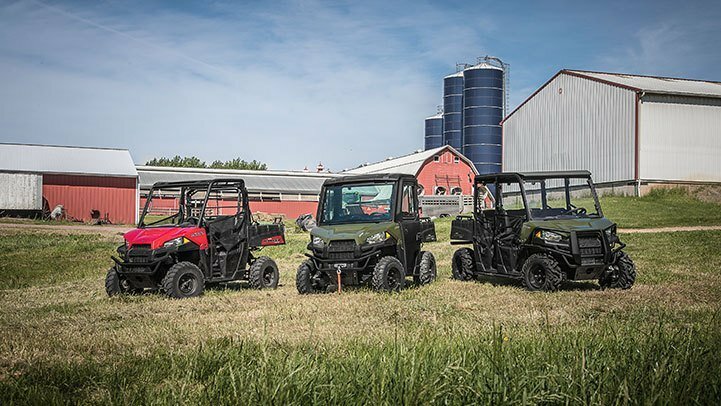 When in 2WD, NEW for this year the VersaTrac Turf Mode switch unlocks the rear differential for easier, tighter turns that won’t tear up your lawn. 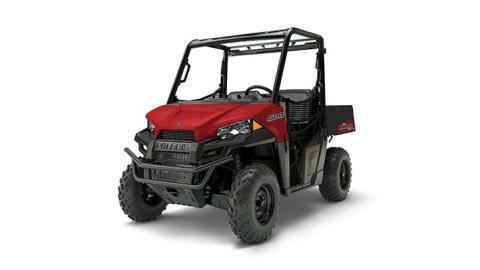 CLASS-LEADING ENGINE PERFORMANCE: RANGER 500 produces class leading 32 HP to make quick work of everyday tasks. Electronic Fuel Injection allows for dependable cold-weather starting plus superior fuel economy. ALL-DAY RIDING COMFORT: We designed RANGER 500 with an ideal seat height combined with wide foot clearance for easy entry and exit. Plus, experience updated bench seats engineered for all-day riding comfort and standard tilt steering wheel adjustment! 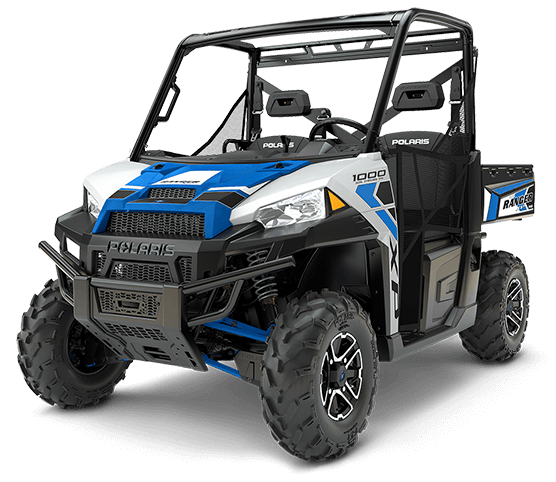 SMOOTH RIDING SUSPENSION: To ensure a smooth ride, RANGER 500 features a full 9” (22.9 cm) of suspension travel up front and 10” (25.4 cm) of Independent Rear Suspension travel. This is 25% more than the closest competitor in the class. Additionally, all 4 corners can be adjusted to handle increased loads or plowing. NIMBLE HANDLING: For nimble handling and a tight turning radius, RANGER 500 features an ideal 73” wheelbase paired with standard Versa-Trac Turf Mode and a full 10 inches of ground clearance. 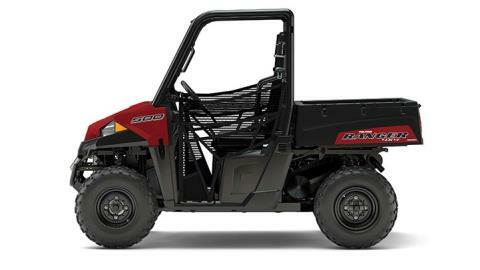 Additionally, a 58-inch width allows RANGER 500 to fit in the bed of most full-size pickups.